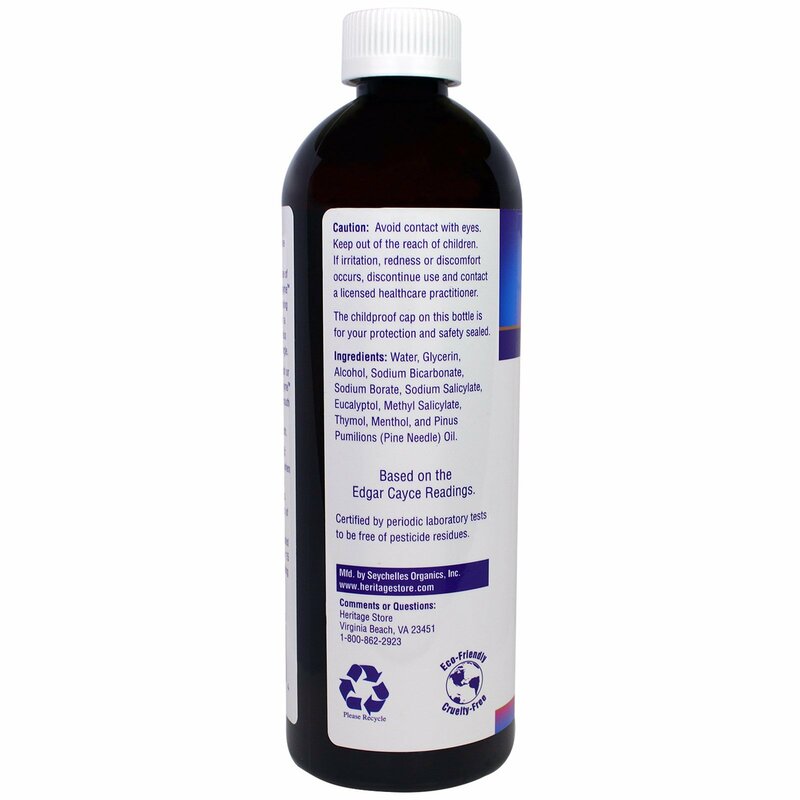 Make Alka-Thyme the choice for your oral care program, for alkalizing your system as recommended in the Cayce readings, or as a gargle. Can also be a soothing relief for congestion when applied as a pack. 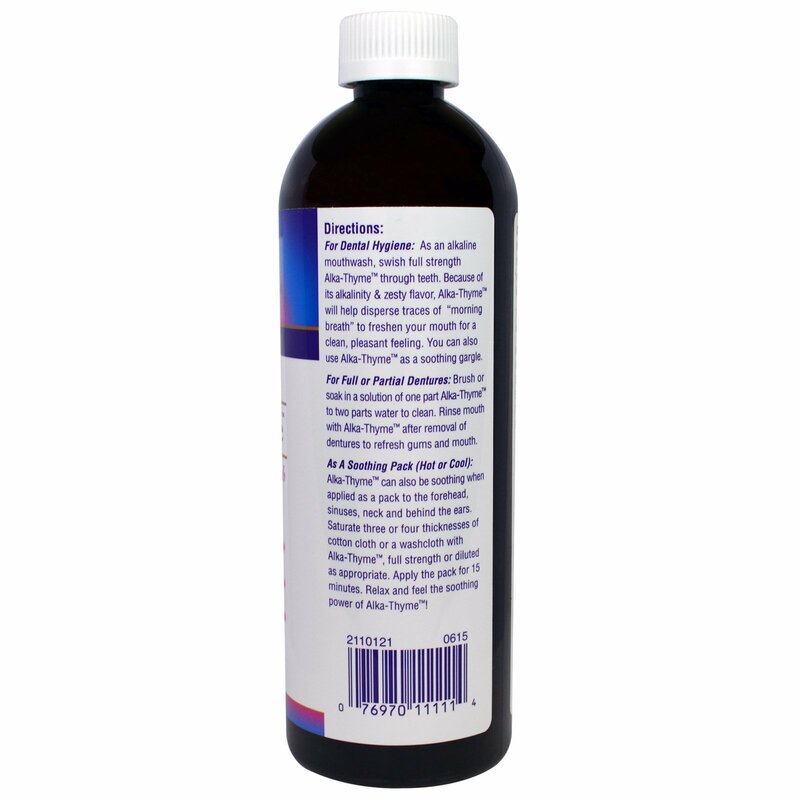 As an alkaline mouthwash, swish full strength Alka-Thyme through teeth. Because of its alkalinity & zesty flavor, Alka-Thyme will help disperse traces of "morning breath" to freshen your mouth for a clean, pleasant feeling. 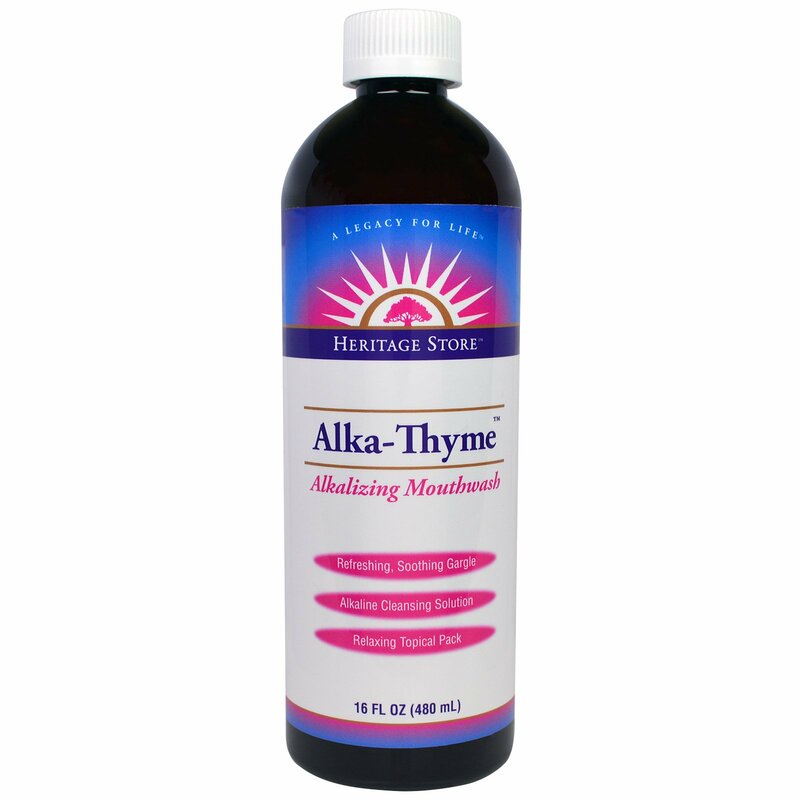 You can also use Alka-Thyme as a soothing gargle. Brush or soak in a solution of one part Alka-Thyme to two parts water to clean. Rinse mouth with Alka-Thyme after removal of dentures to refresh gums and mouth. Alka-Thyme can also be soothing when applied as a pack to the forehead, sinuses, neck and behind ears. Saturate three or four thicknesses of cotton cloth or a washcloth with Alka-Thyme, full strenght or diluted as appropriate. Apply the pack for 15 minutes. Relax and feel the soothing power of Alka-Thyme! Water, glycerin, alcohol, sodium bicarbonate, sodium borate, sodium salicylate, eucalyptol, methyl salicylate, thymol, menthol, and pinus pumilions (pine needle) oil. Caution: Avoid contact with eyes. Keep out of the reach of children. If irritation, redness or discomfort occurs, discontinue use and contact a licensed healthcare practitioner. The childproof cap on this bottle is for your protection and safety sealed.